This one-of-a-kind event allows you to network with a large number of people in a short amount of time. At this event, you will have the opportunity to network with hundreds of business owners, professionals and executives to learn about services and products that can assist you in your business and operations, while also having the opportunity to present your business to potential partners and customers. Join us in celebrating the winners of the Pittsburgh Business Choice Awards at noon on May 14, 2019, at the Show’s main stage. This program serves to recognize business who are making an impact in their industry and the Pittsburgh Business community. You can nominate your favorite Pittsburgh-area business by visiting www.businesschoiceawards.com and entering the business information into the nomination platform. Don’t miss your chance to meet and mingle with the winners at the David L. Lawrence Convention Center. 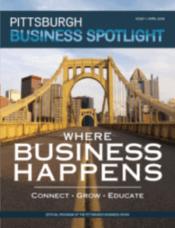 On May 14th at 5 pm, the Pittsburgh Business Show will host the Celebrate Pittsburgh Business Networking Event. At this event, you can join attendees, exhibitors, and guests at the largest networking event in the area. You will have the opportunity to network with hundreds of executives, business owners and employees from some of the greatest Pittsburgh businesses. Learn about new products and services, make valuable connections and enjoy light appetizers and a cash bar for a productive and enjoyable evening! To take advantage of these fantastic events and more, get your tickets for the Pittsburgh Business Show on May 14 and 15 today! Visit www.PittsburghBusinessShow.com to purchase your tickets.